A beautiful story of love, that reminded me of Greta Garbo’s “Anna Christie”. I loved Vilma Bankee’s voice and accent. I felt that the film was charming in it’s “innocence” and simplicity, while dealing with a very complex issue. I hope that I may someday see it again. Vilma Banky was a famous silent film star, brought over from Hungary in the mid-20s by Sam Goldwyn. She was an instant star in films like THE EAGLE with Rudolph Valentino and THE WINNING OF BARBARA WORTH with Ronald Colman. Her talkie debut was in 1929 in THIS IS HEAVEN; it was a notorious flop. A LADY TO LOVE would be Banky’s final American film and her second attempt at a talkie. And it’s a very good film indeed. Banky plays a waitress in San Francisco who is spotted by an immigrant grape grower (Edward G. Robinson) who has come to the city to find a wife. He brings the waitress to Napa for an arranged marriage but she is immediately attracted to Robinson’s foreman (Robert Ames). 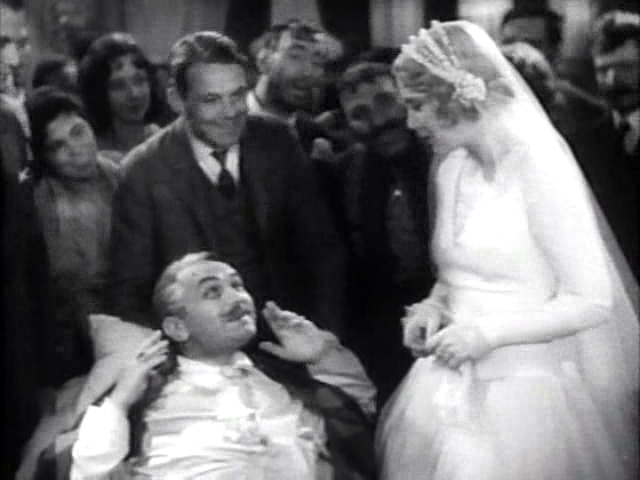 Although Robinson has fallen and broken is leg, the wedding takes place (she wants a home and things) but on their wedding night, Banky has a fling with Ames. Ames then goes away and leaves Banky with Robinson. She nestles into her newfound safe haven and takes care of Robinson. Over a period of a few months she discovers she has fallen in love with the doting Robinson, but then Ames returns and threatens to make trouble. Robinson (in his third talkie)is, as always, a total pro. And even with an Italian accent and a wild white white, he’s a pleasure to watch. Ames is OK in the thankless part of the cad. 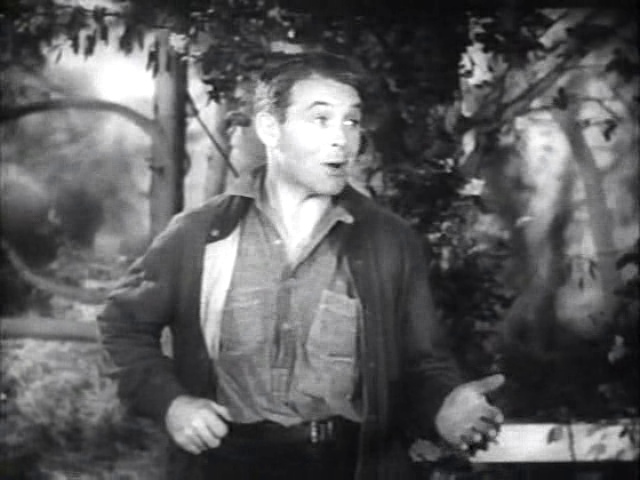 Supporting players include Henry Armetta and George Davis as foolish workers, Anderson Lawler as the doctor, Lloyd Ingraham as the priest, and Richard Carle as the postman. But Banky is front and center here as Lena. Much was made of her failure in talkies because of her thick accent. After this film flopped she made a couple films in Europe and retired from the screen. But I was struck throughout this film at what a nice voice she had and how much her accent resembled that of Greta Garbo in ANNA Christie that same year. THIS IS HEAVEN is apparently a lost film so we may never be able to judge Banky’s talkie debut. But her second effort is solid. 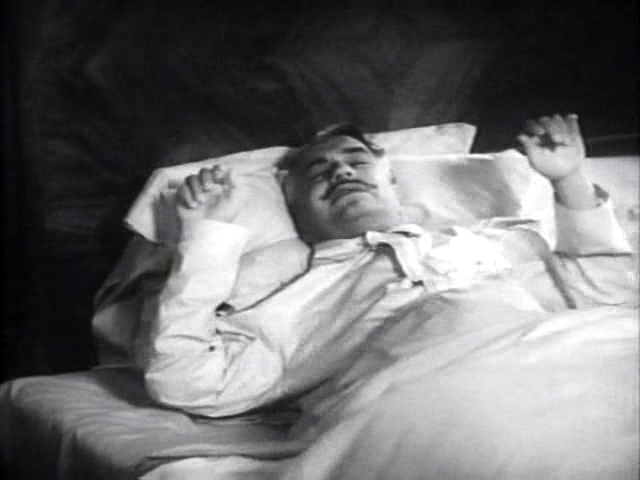 The best scene in the film is where Banky attempts to give Robinson a bath while he’s in bed (with a broken leg). It’s a giddy and delightful scene, especially with his aversion to water. 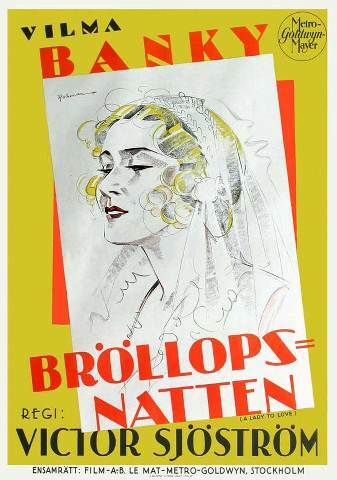 Banky was long married to silent star Rod La Rocque. He continued in talkies as a supporting player through the early 1940s.